Build drag and drop Joomla templates directly from your website. Kiolezo, Drag and drop Joomla template builder. Build the template of your website directly from Joomla! by simply drag and drop rows, columns, module positions, images and many other elements. It's different from other builders because this is not a page builder, instead Kiolezo is a template builder, so you can create all parts of your template just by drag and drop. All created templates can be used directly by Kiolezo, through the template expressly created and installed together with the component, to keep the drag and drop edit feature, or can be exported in zip archive format and installed on any other Joomla! based website (minimum required version 3.6.5). Import ready layouts from our gallery, browse ready awesome layouts and import in your website with just one click. Take a look to our gallery by the button below. Don't buy templates anymore, create your custom template yourself! 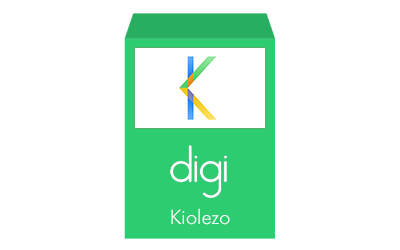 If you want to try Kiolezo for free, download now the lite version to see how it works. To install the component, your Joomla! version should be at least 3.6.5. Linux hosting. Kiolezo is not compatible with Windows hosting. To export templates as zip archives, your server should have "ZipArchive" PHP class installed. Otherwise the component will work, but you will not be able to export templates. Kiolezo blank template should be installed to display Kiolezo layouts in frontend. Normally that template is automatically installed or updated during component installation process. The keys combination CTRL + S allows you to save the current layout. The keys combination CTRL + E allows you to save and close the current layout. The keys combination CTRL + Z allows you to undo last action. The keys combination CTRL + Y allows you to redo last action previously undone. The keys combination CTRL + B allows you to open or close the sidebar. The key ENTER lets you save settings within a popup.